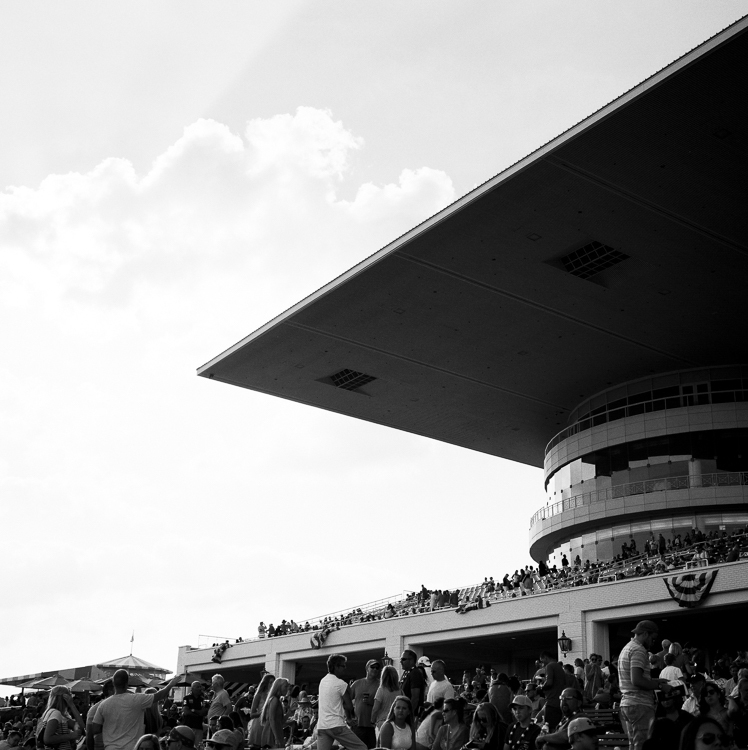 I took my first darkroom photography class in junior high, and my most memorable assignment was the one I shot at Arlington International Racecourse. Like many girls my age, I was horse crazy, and Arlington was the perfect place to bask in the glory of these powerful creatures. After each race, the grooms rushed onto the track to cool down their charges: stripping off their saddles, walking them out. 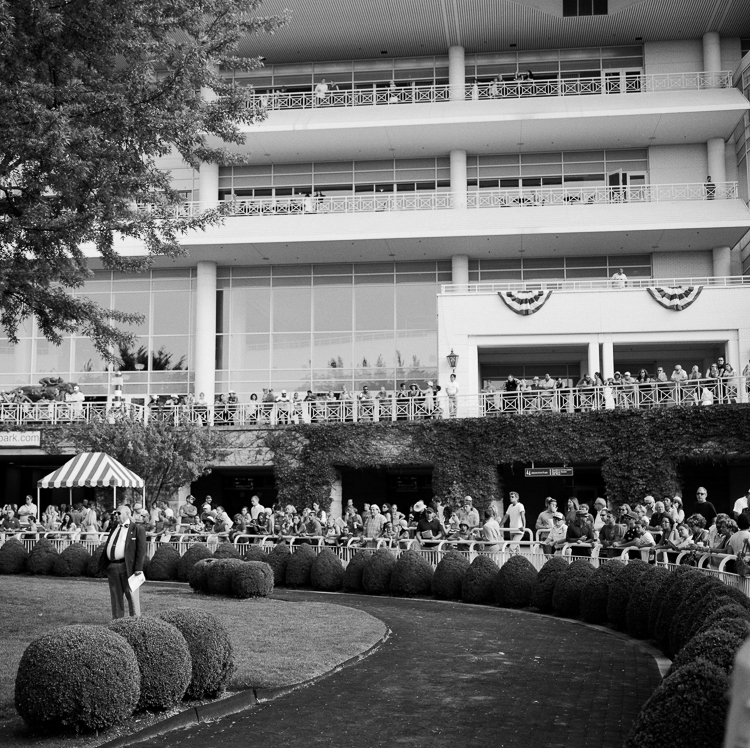 I stood watching from the grandstand, camera poised, as one groom threw a bucketful of water over the back of his horse. When I developed my film in class, each drop of water was suspended in midair. That was the moment I fell in love with photography. 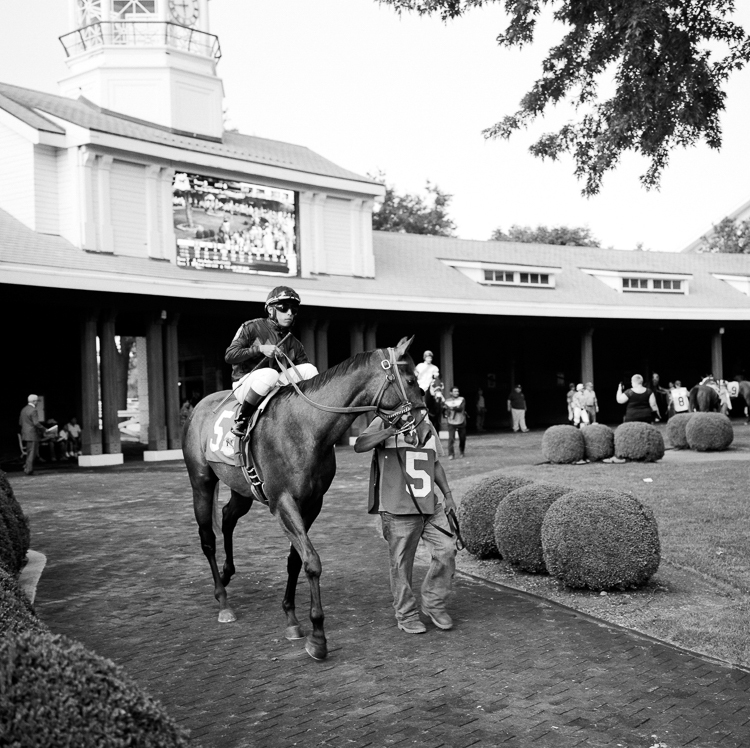 So when I visited the racetrack with my family this summer, I couldn’t help but bring my camera—for old time’s sake.